Call for proposals deadline is 26 June!!! M.A.R.I.N. 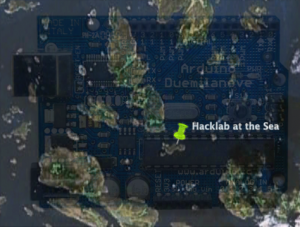 invites short proposals to attend Hacklab at the Sea, an informal workshop on an island in the Finnish archipelago combining tinkering and brainstorming of ideas. The workshop explores sensory experience of marine environment and ecologies. Participants should all do hands-on tinkering with the likes of but not limited to, sensors, sensor networks, DIY electronics, low power computing, and alternative energy production.